First of all, congratulations on deciding to go with a destination wedding as a way to start your marriage! I couldn’t be a bigger proponent of couples saying I do in a place that means more than anywhere else in the world. Being limited by home country should be a thing of the past with how accessible travel has become and having a destination wedding adds a great extra layer of story to an already incredible day. Nonetheless, destination or not, a wedding involves massive amounts of stress and choosing a photographer is hardly an exception. There should be a lot of thought going into the decision of who to pick as your destination wedding photographer, as the photos are one of only a few aspects of the wedding that last virtually forever. My goal is to pick apart the good and bad in going through the steps of hiring a destination wedding photographer, as someone who has been on both sides of the process. When it comes to starting the hunt for your destination wedding photographer, there are a few ways to begin. Although I’m the planning type and have no problem spending an afternoon strategizing and collecting ideas, I know some couples could spend a whole day trying to make progress without really achieving anything. Whether it’s a Google search or hitting up your best friend who just had her wedding in Tulum, here are my recommendations on the first steps in seeking out a destination wedding photographer. With a multitude of options, it’s hard not to see the value in being able to sort and filter through a huge list of potential candidates. The biggest benefit of an online directory is the organization of filtering in or out by price and location, two huge factors in choosing a destination wedding photographer. Being able to narrow down photographers to your budget, for example, is a great place to begin qualifying candidates. If you don’t find a wedding photographer you love, you can always raise your budget until the one right shows up at the best price. If you’re the kind of person who likes to have options A-Z at your disposal, a directory is the best place to start. Most of the big directories only include US-based photographers, which can exclude many of the most popular destinations if you want to go local. If you’re having a wedding in Cozumel, then looking for a Mexico destination wedding photographer, which I recommend, is going to be a challenge, if possible at all, in most online directories. Directories can also result in decision paralysis where it’s hard to properly examine all the options. Wedding planning is stressful enough without having to be overwhelmed with options, and having to sort through 35 destination wedding photographers could overwhelm even the best planners. If you’re the kind of person who takes forever to order at a restaurant when the menu is big, avoid a directory. A directory can also be deceiving because it doesn’t show a photographer’s full portfolio, only a highlight reel of their best work which may be limited to 10 or 15 different photos. It’s best to examine a destination wedding photographer’s work one by one and do a deep dive rather than a shallow skim. Getting a referral from a friend can be the biggest helping hand in hiring a photographer. You don’t necessarily need the person you know to make the introduction but can get a sense for their work by just seeing your friend’s photos. It’s best when you’ve attended a wedding where the photographer shot because you can tell how they capture what you saw. If the venue was ordinary but they made it look amazing then you know they’re the right person for the job. This is particularly true for destination wedding photographers – a good friend of mine hired her Mexico destination wedding photographer after attending a wedding in Playa Del Carmen. She liked the decor, the venue, and her friend’s dress but was stunned by how spectacular the photographer made everything look. 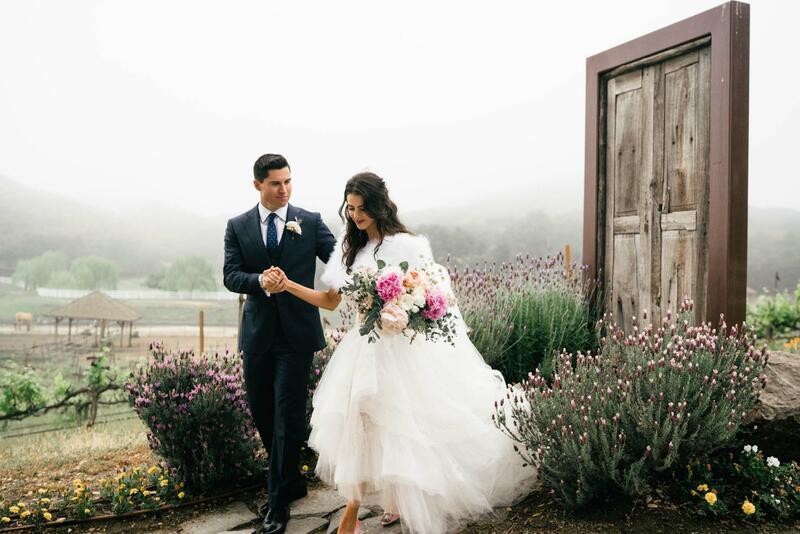 The decor popped, the venue seemed grand, and the dress was straight out of a fairytale – she knew she’d found her destination wedding photographer right away. The biggest pro of word of mouth really is trust and relief, it’s not having to worry about whether or not you’ve picked the right person because you already know how good they are at delivering what you’ve hired them to do; after all, you’ve already seen them do it. Opt for a referral from a friend if you’re the kind of person who second guesses everything and wants peace of mind. I’ve really only heard of this in theory and never a real example so this is less of a concern for those searching but with a referral can come the chance of having your wedding photos look the same as a friend’s or family member’s photos. Truth be told, this can only really happen if more than one aspect of a wedding is the same. If you have the same dress, venue, and photographer then it’s likely you’re going to have something that doesn’t look original and that doesn’t sit well with every bride. Do not hire the same person as a friend if you consider yourself an individual and want your wedding to be unique amongst your friend group. Most people opting for a destination wedding care about creating something special and having the same photographer as someone you know may undercut the sense of distinction. Luckily, a good destination wedding photographer is flexible and creative enough to work with a couple to create something that stands out. Although I’ve shot two weddings in Colombia at the same venues for two couples, who purchased the same Cartagena wedding package, the photos came out completely different and nobody without a trained eye would be able to tell it was the same photographer. The choice to hire a destination wedding photographer immediately begets another crossroads: do I hire a wedding photographer in the town I’m getting married in, or do I bring one in from another city, maybe even another country? It’s a question my friends repeatedly come to me with, and one my brides tell me they struggled with before they hired me. I hope to shed some light on the decision with details on what may be the option for you! A local destination wedding photographer has an advantage because they belong to the particular area or town where the wedding is taking place. This comes with the benefit of added familiarity with the location which I could see coming in handy for portraits and advice in the months leading up to the wedding. Having insider knowledge could mean having a better understanding of the lighting at sunset, which is usually the best light of the day. It also means, in some cases, not having to pay travel fees to bring in a destination wedding photographer from a different city or country. Having to select a Tulum wedding photographer, for example, is not as easy as having all of Mexico, or even all of North America, to choose from. It’s a lot easier to be able to make a confident decision about a Mexico destination wedding photographer than it would be to have to limit yourself to a photographer from a specific town or region in Mexico. The reason I get hired for destination weddings isn’t because there aren’t good options in the places the couple is getting married but because there aren’t necessarily the best options for that couple. The idea of having to compromise and then be dissatisfied with the photos at the end of the day is a major con of having to go local and one that I don’t recommend having to make. Trying to stay cheap by hiring local may be something you have to pay for in the end, and I’d say it’s not worth the risk. An international barrier between you and your photographer has the potential to present a few issues. If your wedding is in Barcelona, you probably want a photographer who’s going to be able to communicate in Spanish. This con is of course erased if the photographer is either from your home country and can speak the language or not necessarily international but just flown in from a different place within the country. Flying someone from San Francisco to Hawaii may have the flight time of an international destination but a language barrier wouldn’t exist because it’s all within the United States. Generally, bringing in a photographer from a different place comes with travel fees as well, e.g. flight, lodging, or a rental car. I’ve never added more than a small percentage in travel fees to the overall cost, even when the wedding has been across the world because it usually doesn’t end up being much if you’re an experienced traveler. I’ve had a bride tell me travel fees were just over her budget so I ended up waiving the lodging fees and stayed with a friend in a city nearby. The right destination wedding photographer will be able to get creative with you to make your budget work. By expanding your choice of a destination wedding photographer to an entire country, or even past the borders of the country hosting the wedding, you bring a huge volume of immensely talented wedding photographers into the fold of options. Having the luxury of expanding your options usually only costs the price of a plane ticket and, if you’re lucky, not even that! Although talent is absolutely a critical factor, finding the person who is competent and the right fit is really where going global with your decision has its biggest advantage. Some photographers won’t even charge the cost of travel if it’s a destination they really want to shoot themselves. I wouldn’t think twice about waiving the travel fees for a destination wedding in Cancun because it’s a place I’ve been wanting to shoot in more and more as I continue to visit Mexico. The assurance in hiring a wedding photographer who is going to be the best at what they do is too valuable to pass up, especially for such a small cost. I strongly recommend hiring someone from a different city or country if your budget permits. There’s a lot of concessions a couple looking to stay affordable has to make with their destination wedding, usually because weddings are so much more expensive than people outside the industry realize. I’m a destination wedding photographer and even I continued to be shocked by the quotes I was getting from vendors when I was planning my wedding. It’s important to scale back on certain elements that may not be worth it but what are the pros and cons of doing so with your photographer? There’s not too much to say here – I’m really not a fan of strict budgets because it usually means having to compromise on how something is going to look for the rest of your life! On the other hand, I’ve had friends who are ready to ask me for advice about a photographer before signing a 10K contract and it’s hard not to tell them to reconsider and look for someone more sensible. Some photographers just aren’t reasonable with their pricing and for that reason, having a line you don’t cross can be important. Being strict can be good if your budget leaves a wide margin for options but if not, I’d consider being more flexible. Whatever the industry standard is, I’d push up a bit past the point of comfort and then not move from that point, if you do care about being disciplined with your budget. Having a budget that’s too strict can lead to unfortunate compromise. When compromising with a destination wedding photographer, it can mean excitement for your wedding photos turning into disappointment when they’re delivered. If there is a single place that I tell my couples to break their budget, it’s on the documentation. Think about the worst case scenario with the other vendors in contrast to photography. If the catering is sub-par, then your guests have an unmemorable dinner, which may be remembered by a few dozen people at most. If your destination wedding photographer was the best you could find at a certain price point but not really one you whose work was adequate to your standards then hundreds of your closest friends and family who want to see your wedding photos for the rest of your life may feel the same way. Most importantly, you and your future spouse might regret who you hired, and that’s not worth saving a few hundred dollars. When trying to stay affordable, having a percentage you’re willing to go above your original amount offers you the chance to choose the right destination wedding photographer, rather than the affordable ill-fitting option. My rule was that I wouldn’t go past 20% for the vendors I wanted, and I didn’t have to compromise for anybody I ended up going with! Usually, when someone comes to me with a strict budget, I’m not more than even 15% outside of the price point they have in mind. This is why, if you have a specific destination wedding photographer who you can tell is going to be perfect, be willing to stretch a bit to get them and pull back somewhere else because it’s so worth it to get the exact wedding you want. There’s a very important difference between flexible and out of control. Doubling your photography budget because the photographer considers herself high end and wants to stay in a fancy hotel or only flies first class is not a situation you want to end up in. Someone who I tutor was a bridesmaid at an Amalfi Coast destination wedding and had to console her bride at the end of the trip after her photographer had run up the room service bill hundreds of dollars by the end of the 3-day trip. I usually only request $30/day for food when I travel so the idea that someone else would spend 3-4 times that amount makes me encourage everyone to read the wedding contract carefully and make sure spending doesn’t get out of hand! There is a plethora of items to consider when looking at pulling the trigger on any vendor, let alone one who many consider the most important wedding vendor. As destination wedding photographer, I’ve had the privilege to be closely tied to the process, so I’ve seen the questions my clients ask and the factors they’ve carefully reviewed. I myself had a destination elopement which isn’t nearly as involved as a destination wedding but I understand some of the logistics and the issues surrounding a budget. At the end of the day, it’s about understanding what you value the most and that will inform most of your decisions. With over 6 years of experience as a destination wedding photographer, I’m happy to provide feedback and answer questions for the ultra-specific inquiries out there that don’t get blogged about, even by me. Give me a call or fill out a form submission and we can get started on a conversation about your destination wedding photography needs ASAP!